LAURINBURG, NC (WMBF) – Emergency crews battled a structure fire Sunday night in Laurinburg. 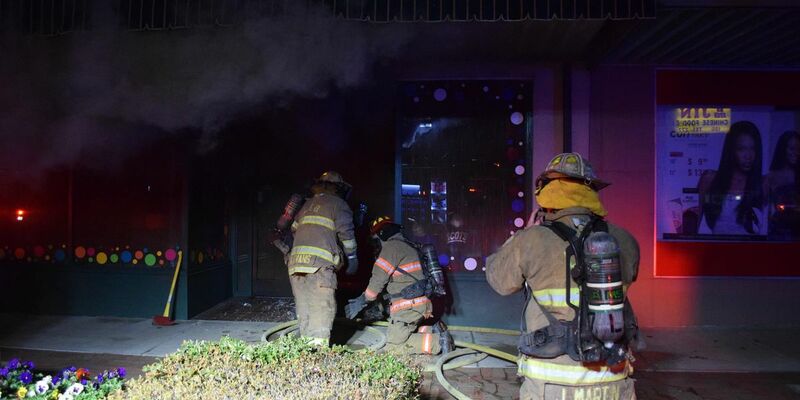 Crews responded to the blaze at Shirt Tales, a business on Main Street, at around 9:45 p.m., according to an online post from the Laurinburg Fire Department. Photos from the scene showed heavy smoke coming from the building. The cause of the blaze was not immediately known. No one was inside the business at the time of the fire, the post states.